The woods, officially known as Kitchers Copse, was once part of the grounds of nearby Forest Lodge, a stately home, built in 1730. Over the years the land was split up and sold off. 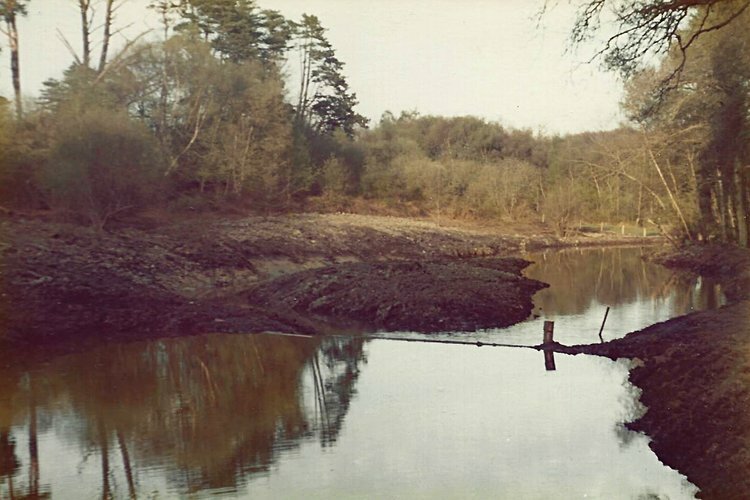 In the late 60’s the owners of the woodland at that time, applied for permission to build houses on the land, which was denied by the New Forest District Council. Deryk Noble, having had his sights set on the woods since he was a young lad, took this opportunity to write to the owners, offering to pay the market value for woodland at that time. Deryk managed to buy Kitchers Copse in 1970. Upon purchasing the woodland he declared it a conservation area. Deryk also ran Furzedown Farm immediately next door, so it seemed appropriate to name the woodland, Furzedown Farm Conservation area. 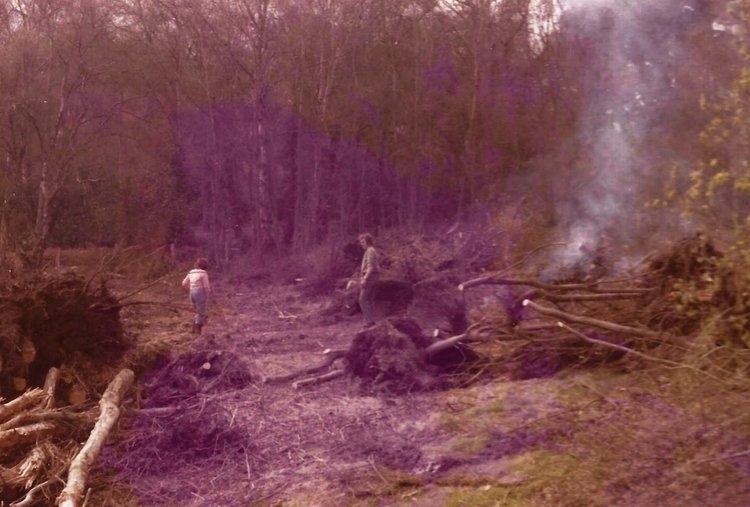 Work was undertaken almost straight away to establish a nature pond in the woods. 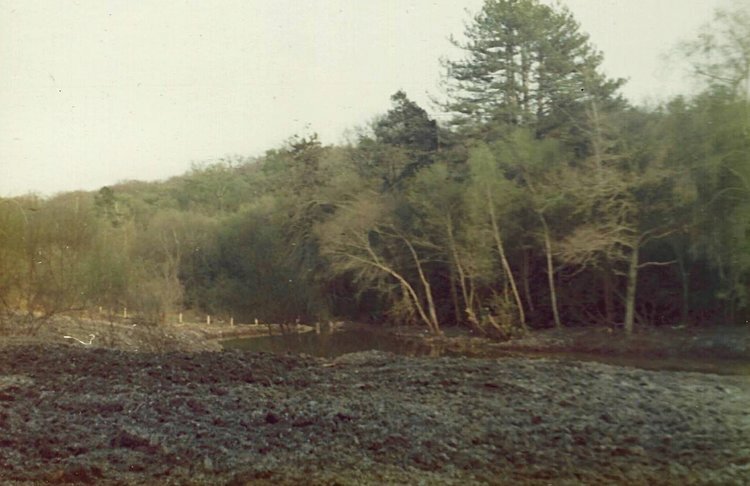 The album below shows the pond being built and its stages of maturartion over the years. 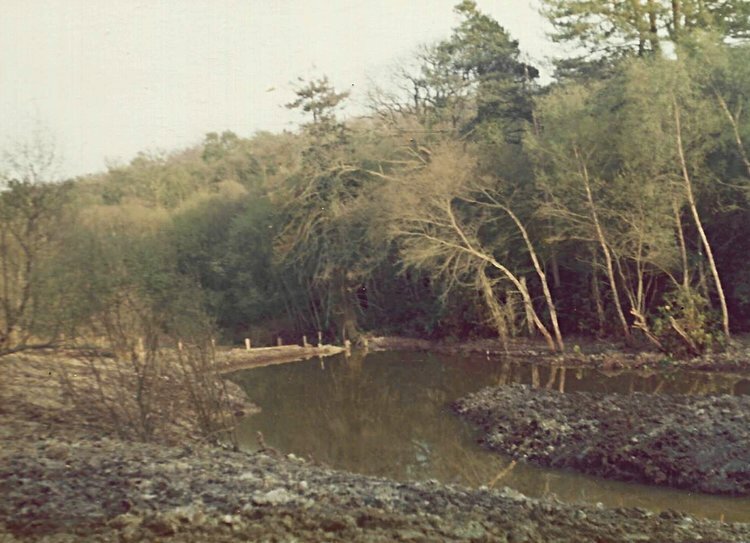 The pond shortly after being dug. Looking down from the top smaller pond over the weir into the main pond. The pond starting to green up. The pond settling in nicely a couple of years after being dug. The pond today. Teeming with wildlife. A mallard with a brood of ducklings. Deryk, also looked after a pair of injured Barn Owls and released the Owlets back into the wild when they reached maturity. Deryk with one of the Injured Owls. The Old Fordson Major an important member of the team. Photo by Martin Noble. Today the woodland is looked after by The Noble brothers and Sisters and their partners. It is currently the subject of a ten year management plan, for which a grant was awarded by the Forestry Commission.